IDH has partnered with DAE ltd to facilitate producer organizations’ access to services and training. DAE ltd provides and distributes inputs on credit, traceability, training and creates market linkages to reliable producer organizations. Women play a major role in coffee production activities and are directly included in this program. Over time as the women participate and household finances, record keeping and diversification strategies improve, the added value of including women is clear. 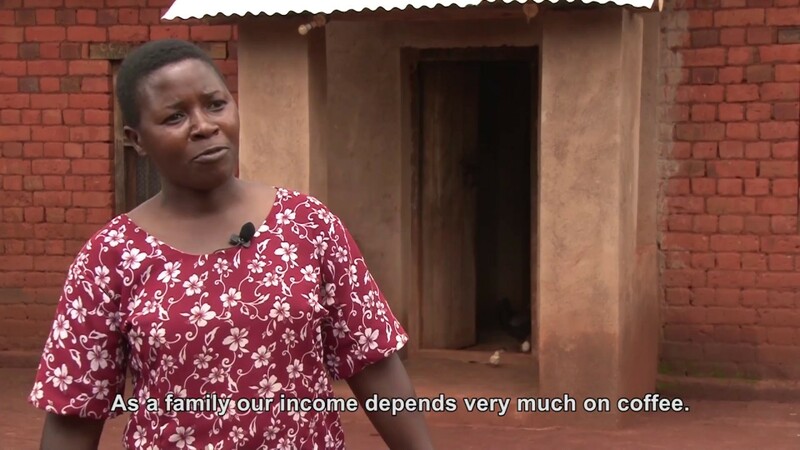 Watch our latest short film on the DAE ltd project and our partnership in Tanzania. Coffee farmers in the Mbinga district of southern Tanzania typically have low yields and a lack of access to financing for investments into farming activities. Additionally, many households face food insecurity, relying on coffee as a main cash crop. An estimated 25% of farmers in the Mbinga area only grow coffee and no food crops. As coffee prices are highly volatile this causes yearly household income to fluctuate. Farmers also tend to have limited insight in their household and farming finances, spending most of the income from coffee in a very short time, without taking into account expenses in the rest of the year. As a result, food may need to be bought later in the season against higher prices, sometimes by obtaining a loan. Similarly, inputs cannot be bought timely for lack of savings and access to credit. Also, there tends to be limited involvement and influence of women during the sales process, although they are responsible for most of the farming activities and for investments into future production and the family. To overcome some of these challenges for coffee farmers in the region, IDH has partnered with Dan & Associates Enterprises Ltd (DAE ltd) to facilitate farmer producer organizations’ access to different services and training. DAE ltd provide and distribute; inputs on credit, traceability, environmental management, social responsibility, economic sustainability and create market linkages. Currently, DAE ltd is directly buying coffee from 200 registered farmer groups. To 20 of these groups, which have proven to be reliable partners, DAE ltd also supplies inputs on credit. While the company’s primary interest is coffee production, they acknowledge that food security and the lack of influence of women on making decisions with regard to investments into farming is a serious issue for the households they work with. Therefore, in the training, particularly on farmer field books, they insist on having women and older youths participate, so that the whole household can get insight into the needs of the farming business. Ultimately, this will lead to more decision-making power for women with regard to investments. Since women play a major role in coffee production activities, it is important for them to be involved in the whole coffee value chain through sensitizations, participation of women in project. DAE ltd is a partner in Coffee Partnership Tanzania to provide and extension system, based on the National Sustainability Coffee Curriculum. It trains farmers and farmer groups on different aspects of coffee growing and on the importance of income diversification. Through this project, DAE ltd aims to assist 10,000 farmers to receive training, access to financial services, inputs and improved variety seedlings. Average households owning 950 trees that currently yield an average of 0.25 kg of parchment per tree, are expected to increase to 0.5 kg of parchment per tree.